Home Of The Lifetime Warranty! Call Today! It’s always a good time of year for auto AC service, and if your car a/c isn’t working like it should then it may be time for an auto AC repair. Inspection, testing and maintenance are quick, even if there’s and AC leak, so you’ll be back on the road in comfort in no time. We’re happy to offer you a free A/C checkup. We’ll also provide a written written lifetime warranty on compressor and other major auto AC repairs. We’re family owned and operated, and have served the Dallas Fort Worth metro from the same location for over 30 years. Our professional ASE certified technicians are known for their personalized service, and we can even offer financing for major repairs. Without regular maintenance your AC system becomes less efficient, and that means less cooling, a heavier load on your engine, or both. Here are some indications that it’s time for air conditioning service. You’re not getting as much cooling as you used to. That could be a the result of a major problem, or a minor AC leak. Your car’s performance drops noticeably when you turn on the A/C system. You hear unusual sounds or notice strange smells when you turn on the AC. Proper maintenance includes our comprehensive evaluation, with a visual examination of the compressor belt, seals, condenser fins, and electrical connections. We’ll also check that the compressor clutch is working and that the evaporator drain tubes are not clogged. Our auto AC service also includes measuring the interior vent temperature as well as a/c pressure and vacuum tests. Factory-schedule maintenance typically calls for replacing belts and hoses at high-mileage intervals, and they along with various seals may need replacement sooner if there’s signs of wear or aging. Topping-off and re-charging the refrigerant (Freon) are also on an as-needed and mileage basis. All auto AC repairs should be performed by a mechanic certified by the ASE in automotive air conditioning systems such as those at All State. Our expert diagnosis can save you both time and money. Replacing the air conditioning compressor is one of the most common major repairs. Tracking down and fixing an AC leak is also frequently necessary, and requires experience as well as training. Since Freon and its substitutes are colorless and quickly evaporates your mechanic may add a special dye to help track down that AC leak. Problems seem to come at the worst possible time, like your car a/c breaking down on the first hot day of summer! That’s not a coincidence — it’s when the AC system has to work it’s hardest so it’s under the most strain. Besides checking car air conditioning, summarizing your vehicle should involve several other steps, including the following. When hot weather and vacation trips aren’t far away it’s also a good time for an oil change and checking out your vehicles brake, transmission, and other fluids. Your car’s heating, ventilating and air conditioning system (HVAC) keeps your vehicle interior comfortable in any season by supplying the right temperature and humidity level. The HVAC system also helps improve defroster operation. Proper heating and cooling performance is critical for interior comfort and for safety reasons like defrosting. The AIR CONDITIONING system will function as designed when you need it if you perform this service. A comprehensive inspection of your car’s HVAC system should be performed annually. A service professional checks pressures to test function, refrigerant charge and outlet temperatures. In the event that the system is found to be low on refrigerant, a leak test is performed to find the source of the leak. Refrigerant may be added if required to “top off” the system (some states do not allow “topping off”). A technician could also check for evidence of refrigerant cross-contamination, which is the mixing of refrigerants. AIR CONDITIONING service should also include a check of the compressor’s drive belt and tension. Exactly what happens if I continue to use my car’s AIR CONDITIONING system, even though it’s not cooling properly? Water drips underneath my vehicle when I use the AIR CONDITIONING system. Is this usual? A musty smell emerges of the A/C vents sometimes. Could anything be done about this? My vehicle’s A/C system seems to cool intermittently and I hear a clicking on and off from below the hood. What does this mean? Are you aware? Having your car’s HVAC system serviced on a regular basis can help save you money on more expensive repairs. 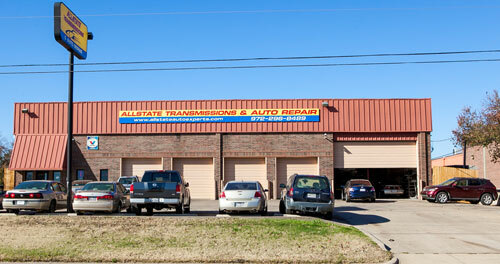 The Cabaj family has owned and operated the Desoto location since 1984. In 1979 Bill along with his Dad Bill Sr. and mom Rose began operations in Dallas. Today Bill is the operations manager and president of the company.